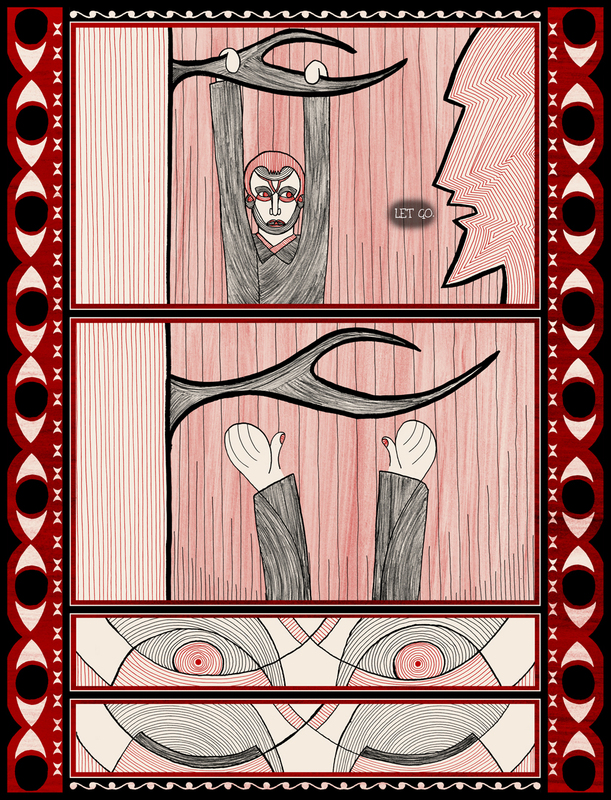 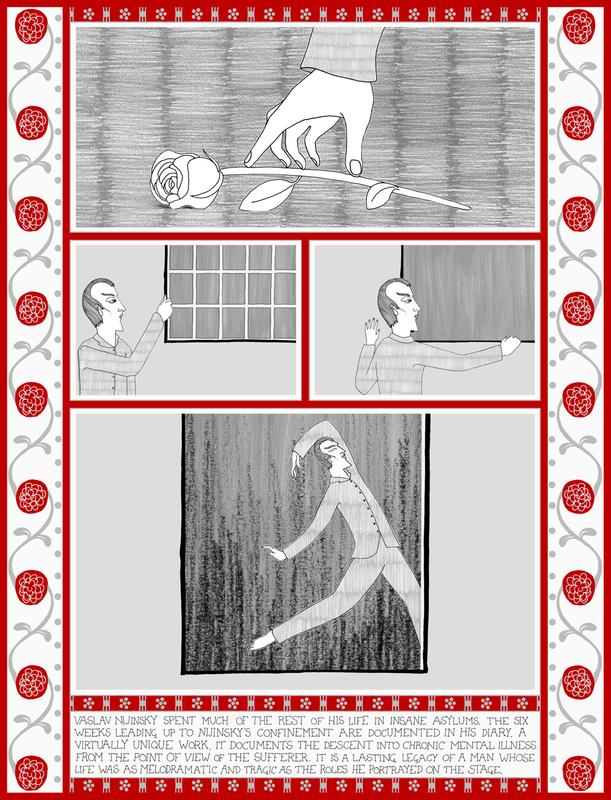 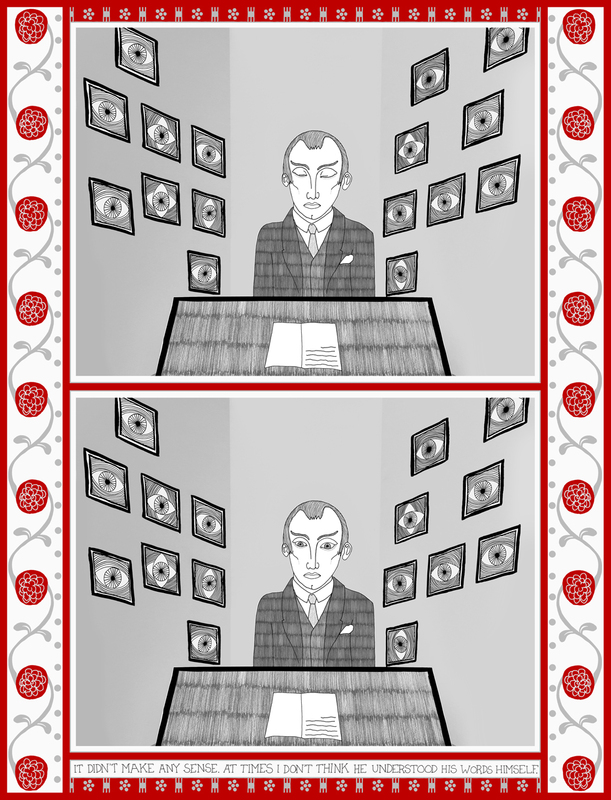 A short story based on a critical six weeks of ballet dancer, Vaslav Nijinsky’s life. 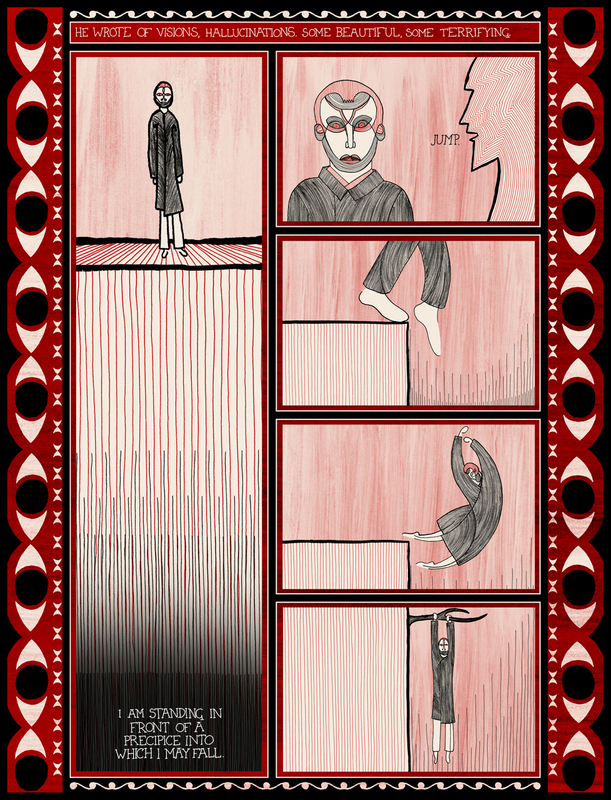 After a glittering career, famed for roles such as the Golden Slave in Rimsky Korsakov’s Scheherazade, and the eponymous character in Stravinsky’s Petrouchka, Nijinsky, aged just twenty-nine years old, descended into chronic mental illness. 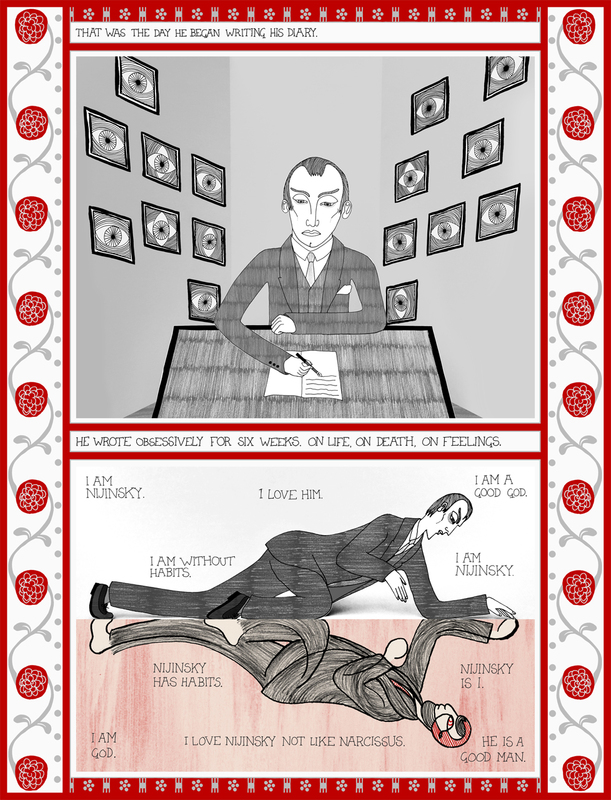 In 1919, as his mental health deteriorated, Nijinsky wrote a diary. 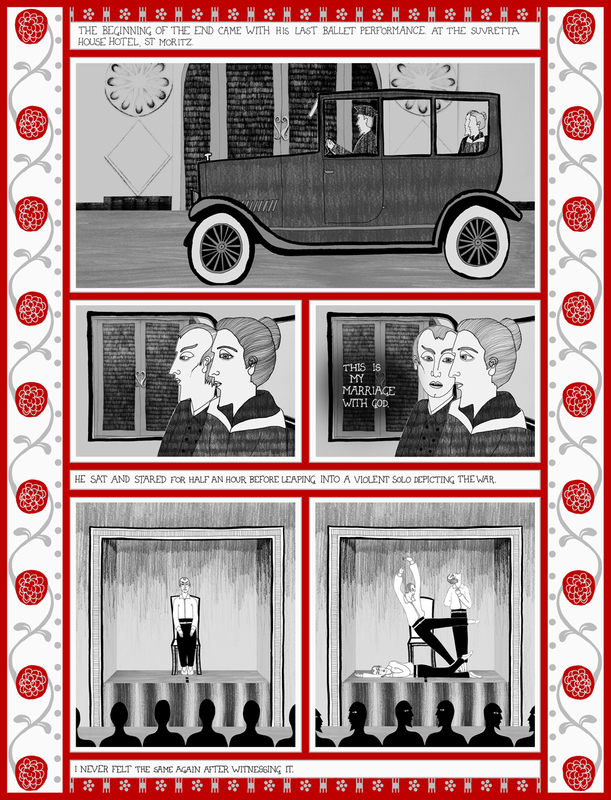 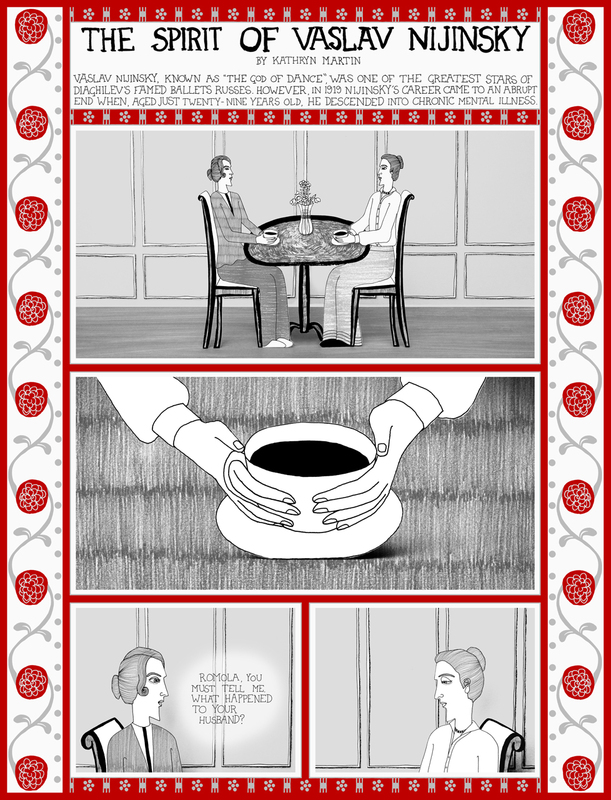 Kathryn’s graphic short story is based upon the themes and the events that surrounded the creation of the diary. 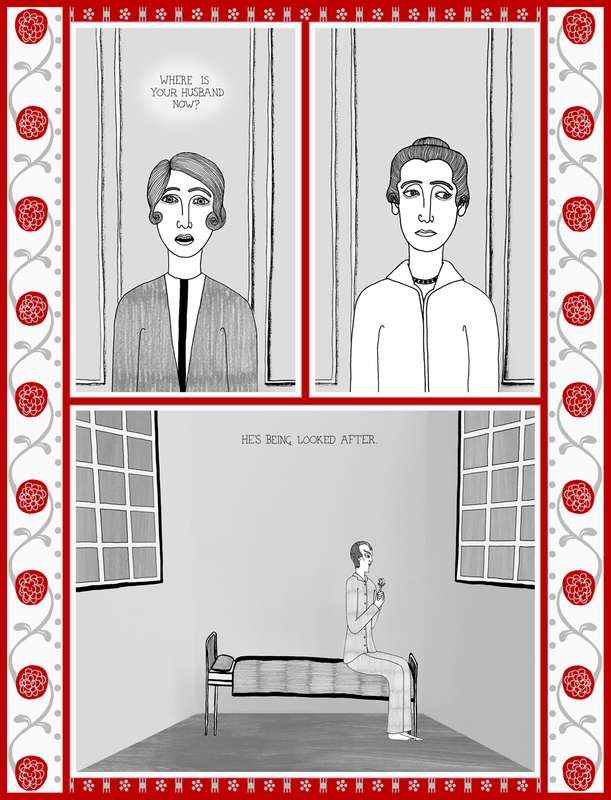 A four page edition was shortlisted for the 2016 Observer/Jonathan Cape/Comica Graphic Short Story Prize.